If you are planning to create your own songs online, you will still need to write your lyrics. It is possible that you are one of those songwriters who enjoy the poetic side of writing lyrics, but it could also be the case where you don’t really enjoy it much. And in such a case you need a guide to help you plan, writing your lyrics in a way that your song conveys an impactful message to the audience. 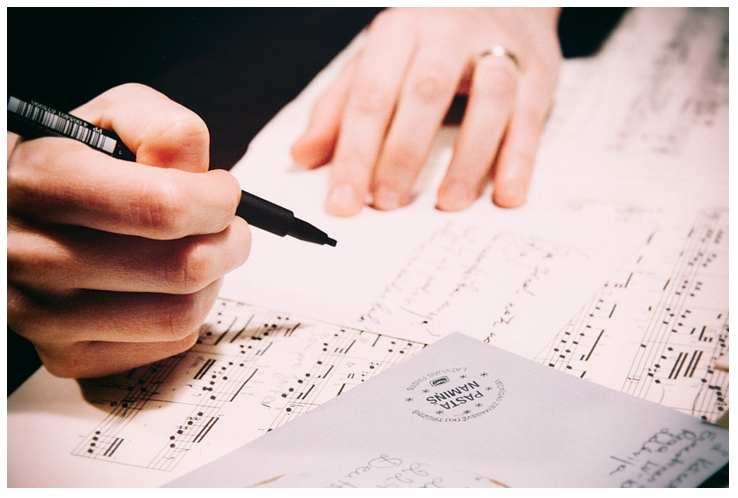 We have mentioned below the best ways for you to create lyrics with ease. If your song’s lyrics are not in rhythm with the instruments or the music, it will not look in sync and will not do justice to the meaning or the melody of the song. Your song should be powerful, yet effective in a way that it leaves a strong feeling behind after it is heard. It is obvious that some words sound better than others in the lyrics. However, it is also seen that sometimes words which might not even have any meaning are used in a song and they do a great job since they soundgood. Sometimes the same lyrics might distract a listener or might have a good impact on them. You can also use synonyms or phrases to replace certain words, if you feel it is required. Find out creative ways to say what you want to say so that your fans also like what they hear. Finally, choose words that flow well with your music and your song will be a success! You might have noticed that many songs sound pretty much same. Hence it is important that the song you write stand out. You can simply describe what you wish to say in a unique way or use words which help you to differentiate your songs from others. Look for more memorable ways to write your lyric with the right rhythm and syllables. When your song comes out on the radio, it should sound that it is your song and not just another one from other singers. You can create your identity with your song by using a unique intro or with some words, metaphors and sentences which are specific to your songs. Why not you create your own songs online and become a well-known singer.